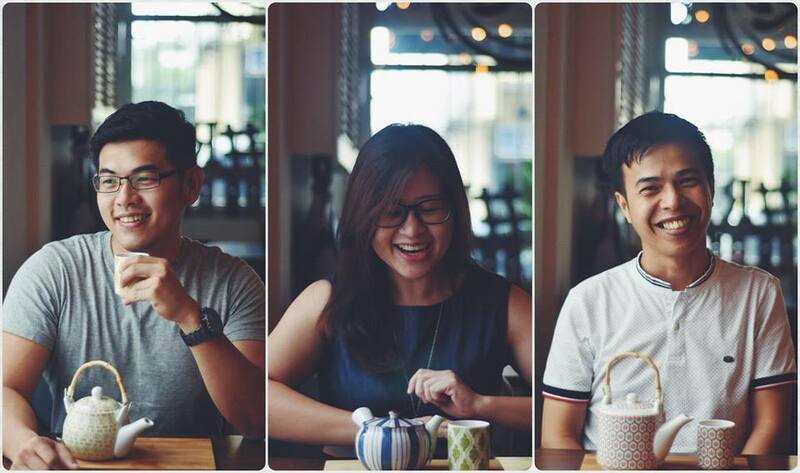 Afternoon Tea is getting more and more popular in Penang! A newly revamp building located at Sri Bahari Road, Bahari Parade is now hosting many new tenants. Ri Cafe is one of the latest additions to Bahari Parade introducing their full day menu, serving from breakfast to dinner. We recently had our afternoon tea at the cafe that features quite a number of playful dishes on the menu. 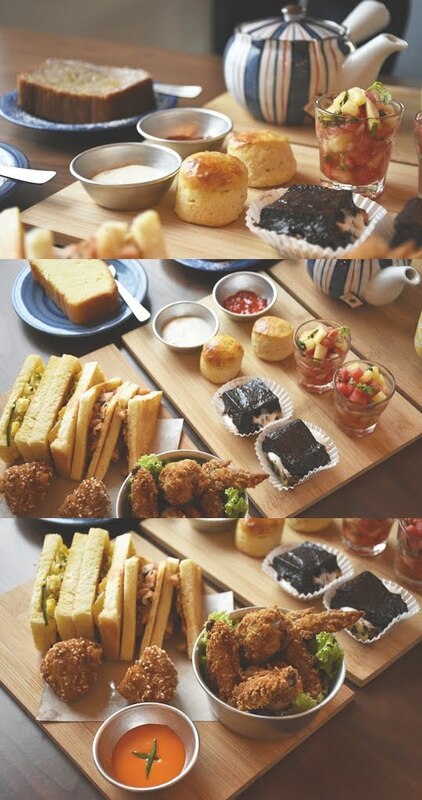 Not only you are having real food but also very pocket friendly afternoon tea set is served at Ri Cafe. Ri Cafe is rather cozy and photogenic. White is the main colour of the building and the moment you step into the cafe it feels like home with outdoor and indoor seatings. I like how the tea was presented to us. They bought all sorts of tea pots and cups, all of them are very beautiful and photo friendly! A set of afternoon tea for one person is priced at RM29.95nett only. You will get a pot of freshly brewed tea, you get to choose in between Green Tea, Black Tea, Flora Tea and Fruity Tea. In savouries you will get egg sandwich, salmon sandwich, breaded chicken wings and mini prawn toast. All of them come in double portion if you are ordering a 2 persons' set. Sweet tooth will be delighted to hear that there are also homemade scones with double cream and homemade jam, triple layer brownie as well as fruit salad. What's special here is their specially prepared cakes, in a much bigger portion and fresh from the oven daily. You get to choose one from Matcha Tart, Banana Bread, Lemon Pound or Brioche Donuts depending of availability. We found that overall the found was good, and when we asked the owner about how she prepare all these, we were told that all the food were made with real ingredients. As a health conscious persons, the owner would not want people especially kids to have processed food. This is what she made everything from scratch to make sure all the food are healthier, fresh and safe for even kids. If you are looking for an affordable afternoon tea, perhaps Ri Cafe will be the place where you can hang out with friends and family. Kids are also welcome as they have a kids corner specially prepared for all the toddlers. Not only the food was pretty good, but also the place was quite cozy and photogenic. I wouldn't mind to spend more time at the cafe if I have time.